The road will need to be fully closed except for emergency access (or potentially any direct access to land i.e. a farmer requiring field entry). There are no residential properties fronting the working area within the closure so no direct access is required. Through traffic is not typically catered for when a road is closed. Signed diversions will be in place for local residents. I accept that these diversions are unfortunately long for some local routes. This is unavoidable as the main reason for the road closure is the limited width of the carriageway, meaning that with the construction plant required there is insufficient width to safely allow any vehicles to pass. The length of the B4005 from Burderop to Chiseldon was originally prioritised by the Borough last year for a surface treatment within the current Capital Highway Maintenance programme. Site investigation and detailed design found that the deterioration of the road surface material was too great for this to be a viable solution, with only the much more expensive option of resurfacing being an option. 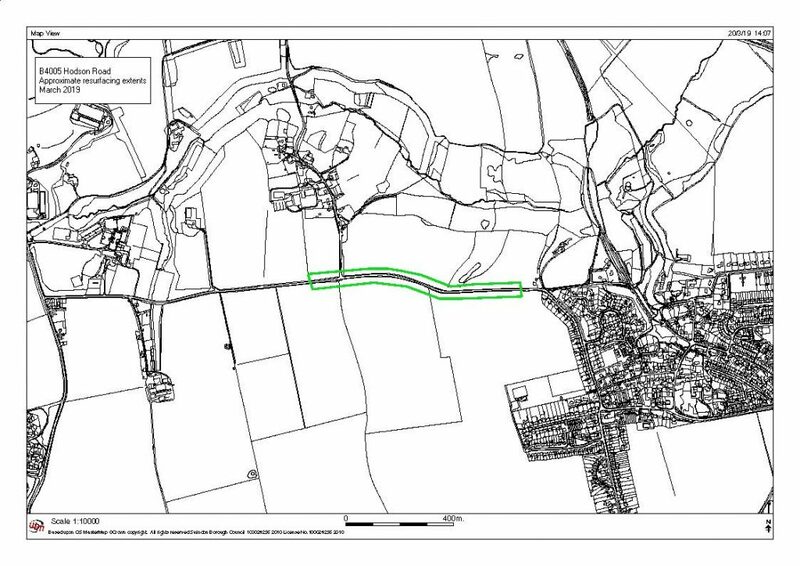 The area on the attached plan is the proposed extents of full carriageway width resurfacing proposed, with deeper patching, that is affordable within current budgets. I trust you find the above information useful, and please pass this on to anyone you feel appropriate. If there is anything further you require, please do not hesitate to ask. Can I also please take this opportunity to apologise on behalf of the Borough for any inconvenience caused by these works.